Apple's ambitions in the music industry go beyond competing with the likes of streaming services like Spotify and Pandora, signaling that the acquisition of the Beats Music subscription service is just a part of the company's plans to overhaul iTunes. Apple's goal "is to be the music business, it's not to compete with Spotify," an unnamed industry insider said to Billboard. Apple's behind-the-scenes dealings with record labels are beginning to come to light just days after CEO Tim Cook and executives Eddy Cue, Jimmy Iovine and Robert Kondrk attended the Grammys. Apple is said to be debating pricing for its upcoming subscription music service, looking to reduce the $9.99-per-month rate of the existing Beats Music product. The iPhone maker reportedly believes it can leverage the existing 800 million iTunes and App Store customers from which it already has active credit card numbers. Industry insiders also signaled that Apple is planning a "major scrub" of the iTunes Store to remove "duplicate and deceptive" versions of songs. Apple is looking to evolve as the music industry has moved away from digital music downloads and sales to subscription streaming services like Spotify. 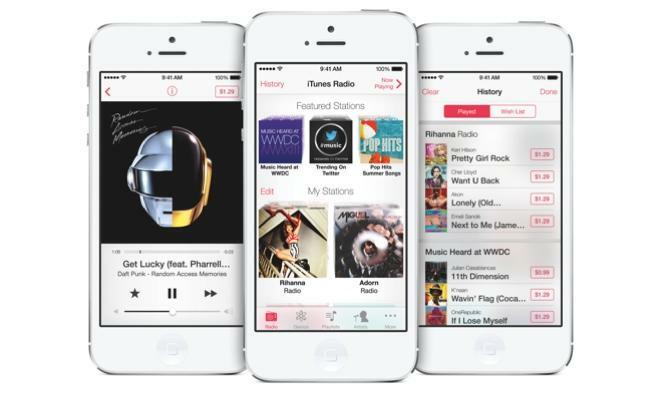 Last year alone, digital music sales fell 9 percent, while streaming grew 54 percent. To help its transition and broaden its music distribution options, Apple acquired Beats Music last year as part of a $3 billion deal that also included the Beats headphones business. It's expected that Apple will retire the Beats Music brand and more tightly integrate a revamped version of the product into its existing iTunes lineup. Iovine, himself an acqui-hire from the Beats deal, is said to be spearheading talks to lock up exclusive releases for Apple. The company hopes to replicate the blockbuster launch of Beyonce's eponymous LP on iTunes from 2013, which sold more than 800,000 copies in its first three days.